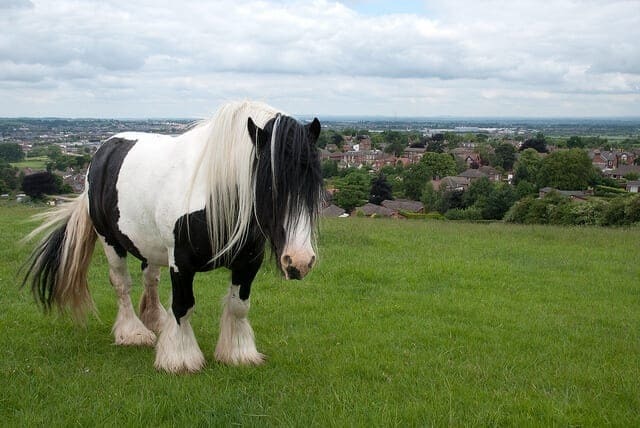 While the term “cob” is common enough, if you are not from the United Kingdom or Ireland, you may be unsure just exactly what an Irish Cob is. In fact, you may wonder is it an actual breed at all, or more of a “type”? 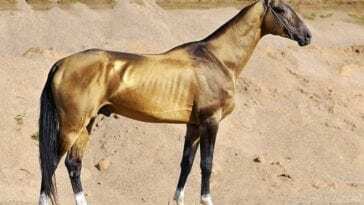 Below are some fun facts about this beautiful horse. 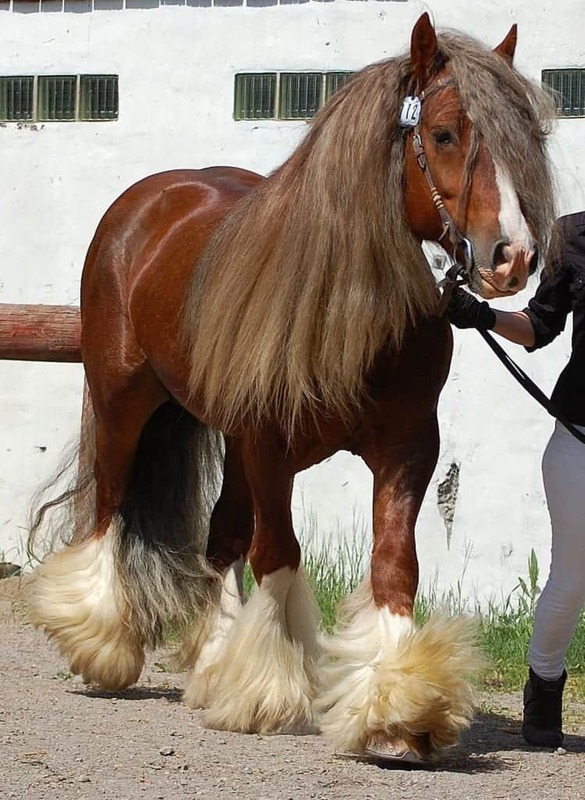 The reason you may not recognize the Irish Cob is because to most the world, they are known as the Gypsy, Gypsy Cob, or Gypsy Vanner. 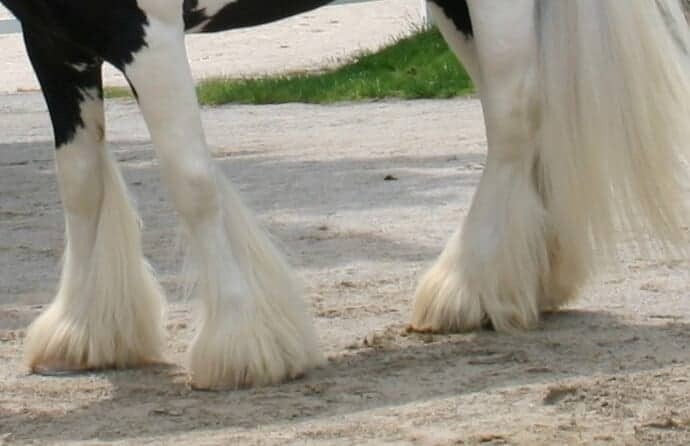 This breed, which has several registries including the Gypsy Horse Registry of America, Gypsy Horse Association and Gypsy Vanner Horse Society, are from imported Irish Cobs. 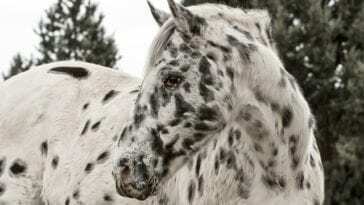 Though many of us picture the black and white pinto when we think of these horses, they actually come in a rainbow of colors. 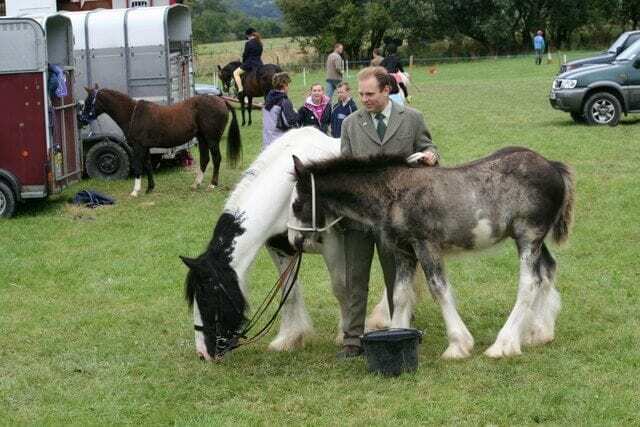 Unlike many breeds, the Irish Cob allows for pretty much any color except albino, according to the Irish Horse Society. 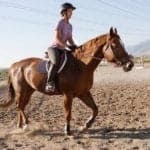 According to the Irish Horse Society, show divisions are as follows: A horses – over 15.2hh up to 16.3hh; B horses – over 14.2hh up to 15.2hh; C horses – under 14.2hh. 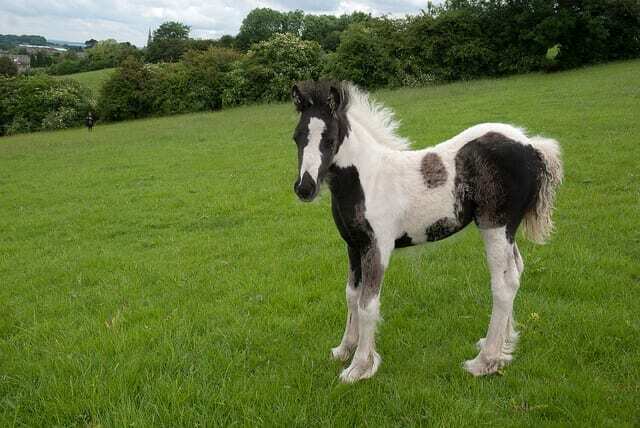 While the Irish Cob has a long history, the studbook wasn’t officially founded until 1998. 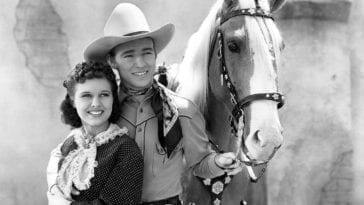 The breed didn’t get established in America (as the Gypsy) until the late 1990’s as well. 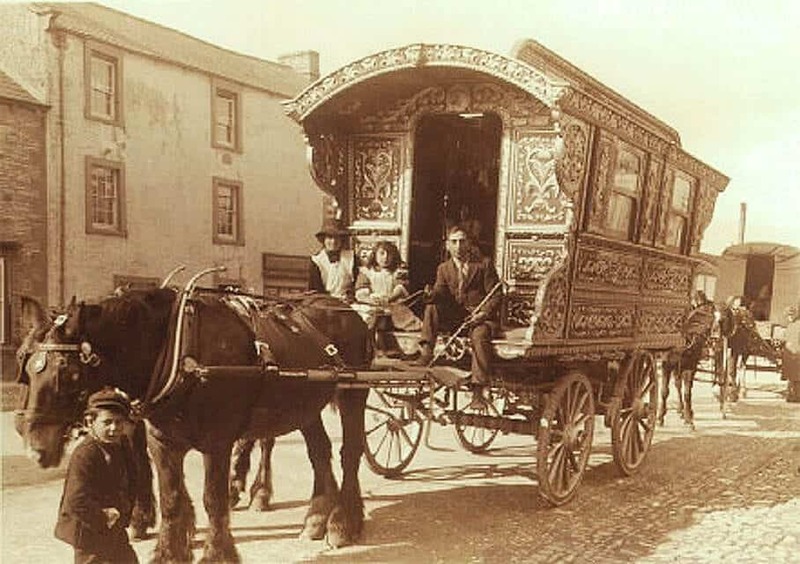 If you have ever wondered why we call them Gypsies in America–“Gypsy horses”– it’s because the breed was developed by the Romani people in the United Kingdom and Ireland to pull their Vardoes – a beautifully designed wagon that they lived and worked in. #6 – It’s feather not featherS! Many may see their large, powerful bodies and think they must be quite a handful. But since the breed was developed literally as part of a Traveler’s family, they had to have a sweet disposition. Often it was the children taking care of the family horse, so while strong enough to pull a wagon, they are soft enough to be led by a child. 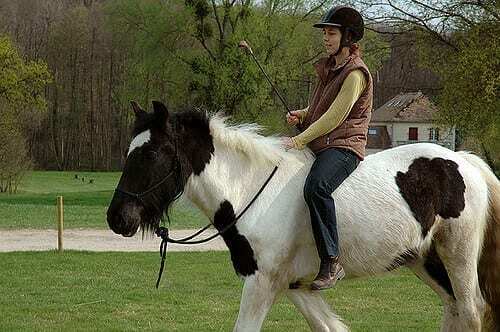 This makes them ideal mounts (or cart horses) for almost anyone. 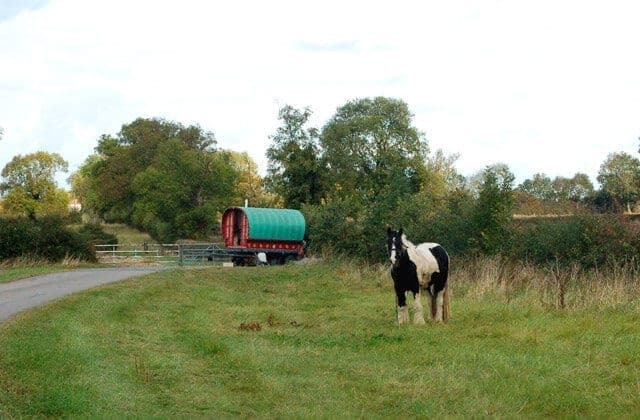 #8 – Were they bred for meat?